It's festive season and school holiday! 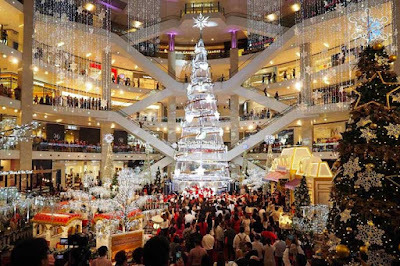 Let's add some excitements to elevate the joy factor when you visit these 8 eye catching Christmas decorated shopping malls. Sunway Putra Mall invites you to get into old-fashioned Christmas spirit this year. With décor showcasing 19th century red brick houses, Victorian-inspired décor and a horse carriage, getting into the charming festive mood there is easy. In its programme and festivities, revellers will be treated to enigmatic and soulful/ lively Victorian carollers, story-telling sessions as well as the sharing of Christmas wish lists with good ol’jolly Santa Claus. There’s also Kids Arts and Crafts workshop. The other best thing is, you’ll get free shoe polish service by The New Era Cobbler! And even a Victorian lady walkabout spreading festive cheer at the weekends and on public holidays. This festive season, The Curve brings you a noble celebration themed Princess Anastasia’s Mesmerising Christmas Gala. 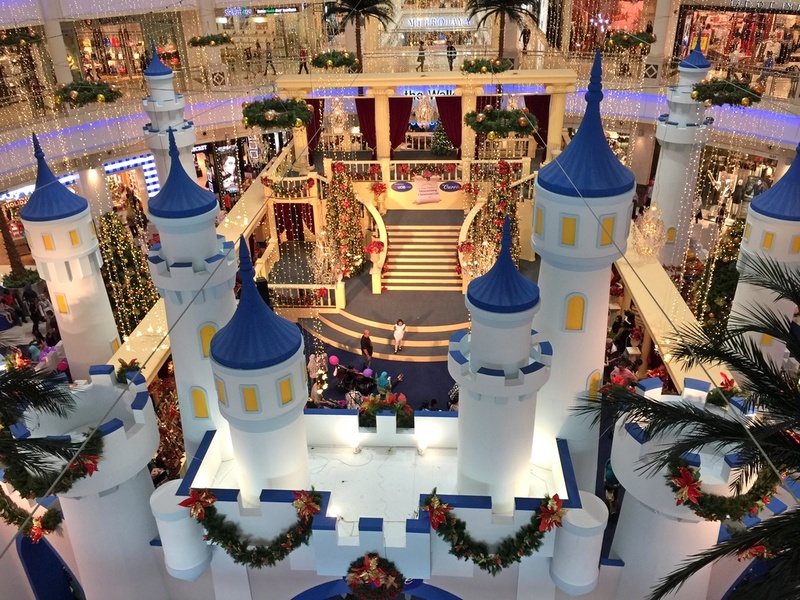 With on-going festivities up until January 1, patrons are in for a royal treat as the Curve transforms its centre court to include a massive 40ft-tall indoor castle adorned with Christmas lights and trimmings. All you need to do is just to enter the castle gates, past ivory-and-blue towers and you will arrive at the majestic Royal Ballroom. From there, you’ll be mesmerized by the stage for Mesmerising Christmas Gala Performance, which performed twice a day on weekends and public holidays (except on Dec 13), dancers will captivate the audience with their graceful dance routines and glittering costumes. Santa Claus and his lovely Santarinas who will also be doing their walkabout around the Curve spreading the excitement and joy. In additional to that, you’ll also be immersed with the melodious tunes of classic Christmas medleys in The Carol of Christmas performances. 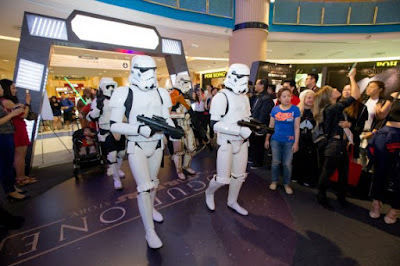 This year end in Berjaya Times Square, let Professor Cosmo, Oorts and Ooops welcome you to experience the best of both worlds at the Galaxy Station and Fantasy Garden. Taking on the “Sugar & Spice Make Christmas Nice” theme this year – the theme park invites you to come and taste the sweetness of the season as you explore Candy Town, packed with sugary goodness and tons of fun-fulfilled activities. Don’t forget to visit and feel the merriment in Berjaya Times Square this Christmas and festive season! At Evolve Concept Mall, the festive spirit is seen in the décor and design, along with the line up of holiday events and activities. Let’s come by and see how Santa and his elves have decked the interiors and put some magical yuletide colours and charm to enhance spirit of season. There are lots fun and photo- worthy backdrops to get creative and snap festive pictures against. Meant to deliver a sensational experience that will put anyone into the festive mood – families are invited to come by and celebrate the holly jolly season and indulge in the array of festive fun waiting to be had. 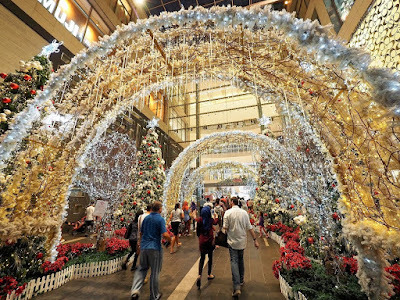 With Christmas just around the corner, Avenue K Shopping Mall is taking this chance to encourage it visitors to reunite, create lasting memories by warming your hearts with its classic festive celebrations. 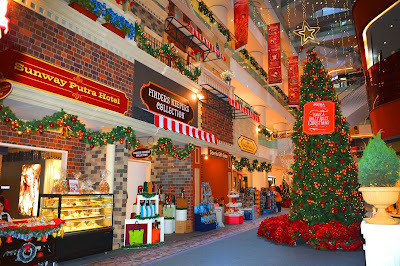 Inspired by a Christmas village, the mall brings you “Enchanting Christmasville” theme beautifully decked out swing at its ground floor atrium. From a classic English railway station and clock tower to pretty poinsettias and attractively decorated decorated shopping kiosks among a sea of evergreen Christmas trees, festive baubles and fairy lights. The English-themed Christmas was taken on as many were mesmerized by their childhood often fantasised in English storybooks that often shown the English-themed Christmas. So, what are you waiting for? This is the best time for you to bring your families and loved ones together in the spirit of celebration! Jingle bells, jingle bells, jingle all the way… now that the calendar has turned to December, it’s Christmas! Let’s celebrate this festive season in Wangsa Walk Mall via its Christmas musical performance entitled “A Musical Christmas Story”. 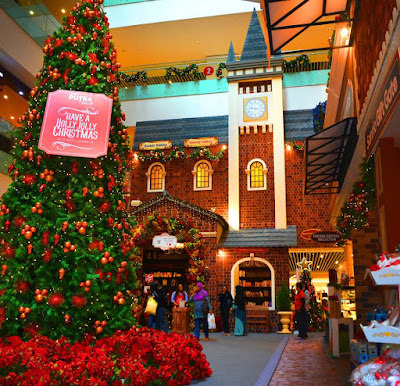 As we all know, there’s no chance of experiencing a ‘Winter Christmas’ at all in Malaysia, but you can feel it now in Wangsa Walk Mall as they managed to transform the mall into a winter musical wonderland for the holidays! 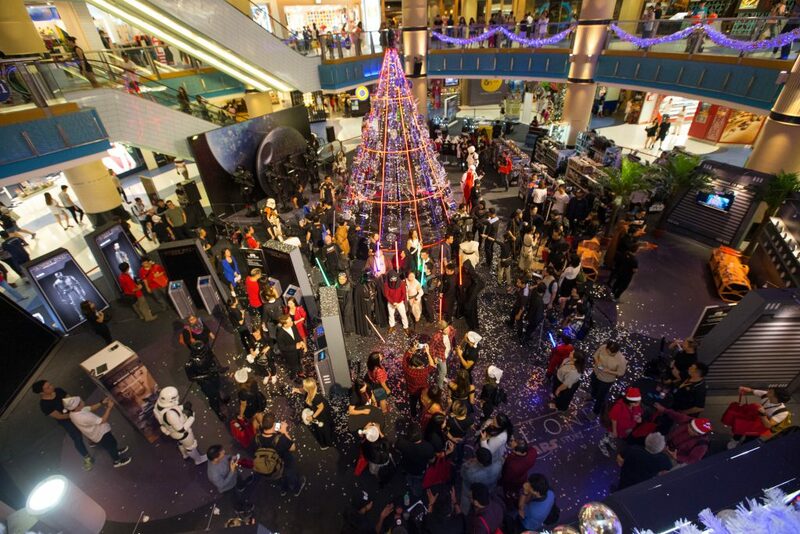 Sunway Pyramid emphasizes the assortment concept in this year’s Christmas. From a Star Wars-inspired Christmas to a Mattel Christmas Roadshow, there is something of interest to you. It highlights the sparkling display of modern Christmas trees, decorated with twinkling fairy lights, cheerful baubles and a majestic tree topper. In additional to that, you will be chanted by holly jolly carollers with Santa lending an ear to your Christmas wish list on weekends! The main highlight and centre of attraction at the event is Swarovski’s 23 meter tall Christmas tree that was inspired by the brand’s Christmas Collection with Miranda Kerr. Made up entirely of crystal strands, the tree sparkles and shines with more than 3,000 crystal strands, which amounts to a staggering total of 175,000 pieces of individual crystals. Valued at approximately RM3 million, it is the very first Swarovski Christmas tree in Malaysia and also the tallest Swarovski Christmas tree in Asia.